One of the leading international communicators of this generation, Russell Evans comes from a rich multi-generational ministry heritage. Prior to founding Planetshakers City Church in Melbourne, Australia, he served faithfully under his father’s ministry at Paradise Church in Adelaide, South Australia. He has also served as the national leader of Australia’s Youth Alive movement and has held a position as one of his denomination’s state executives. As founder and director of Planetshakers, Russell has an uncompromising desire to see every person make a difference in their world. Sam Evans is a woman of passion. Her own encounter with Jesus in her late teens has left her with a mandate to help others encounter Jesus the same way. In her past Sam suffered from the devastation of family breakdown, but emerged with a powerful testimony of how God healed her broken heart and empowered her to overcome rejection. Sam’s anointed preaching will encourage you to personally connect with God, knowing that there is an answer in Jesus for every situation you face. Her focus is the moving of the Holy Spirit to see every individual impacted by the power of God. Together with her husband Russell, Sam is the Senior Pastor of Planetshakers Church, which has 5 Campuses across Melbourne, Australia as well as four international campuses in Cape Town, South Africa; Geneva, Switzerland; Singapore and Austin, USA. Kim Walker-Smith has quickly become one of the strongest voices in worship music. She is a passionate worship leader with an anointing to bring an entire generation into an encounter with God. Her heart is to see people transformed by experiencing God’s love and for this generation to see themselves the way God sees them. Kim has been a part of Jesus Culture since the beginning of the ministry. She carries a genuine heart to see worship change the course of lives and nations. Kim is married to Skyler Smith and together they have three children, Wyatt, Bear, and Maisie. Martin Smith is a singer and songwriter of rare ability and passion. His mixture of skill and integrity has wowed audiences inside and outside the walls of the Church since his days as a young guy with big dreams in the early 1990s. Back then, Martin spent his time writing and singing songs about the realities of life and faith which travelled the world, some of which became some of the modern Church’s most popular calls to arms (Did You Feel The Mountains Tremble, I Could Sing Of Your Love Forever, Thank You For Saving Me). Today there are new songs, new audiences to be wowed, but the passion, the desire for connection and transformation burns stronger than ever. The greatest testimony to this is not just the songs and the powerful impact they continue to have, it is that he continues to live the story of honest faith and love himself. Martin still has huge dreams. He wants what he’s always wanted, to let people know that God is nearer than they think and that that same God wants to continue the dance of love with them. 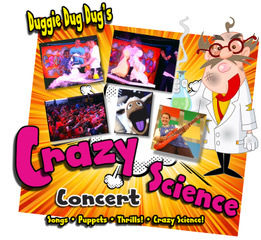 Doug Horley (Duggie Dug Dug) has a national and international ministry working with children and families and song writing. His songs have been used by churches around the world and some years ago his song, “We Want To See Jesus Lifted High”, was chosen as the theme for the Global March for Jesus event and was sung in 176 countries by some 25 million people. 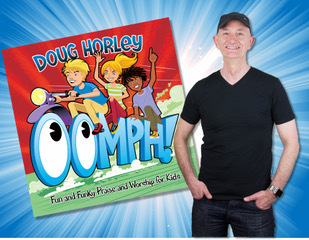 Doug travels around the world putting on fun and funky family worship events and as well as working with many churches across the UK, Canada, Africa and other countries, he has also ministered at a number of large festival events with the Billy Graham and Luis Palau organisations. His heart is to simply communicate Jesus in a fun and relevant way and he uses catchy and moving worship songs, puppets, Crazy Science and lots more to do that. You must register to attend the conference. Children must be registered to attend the children’s conference.